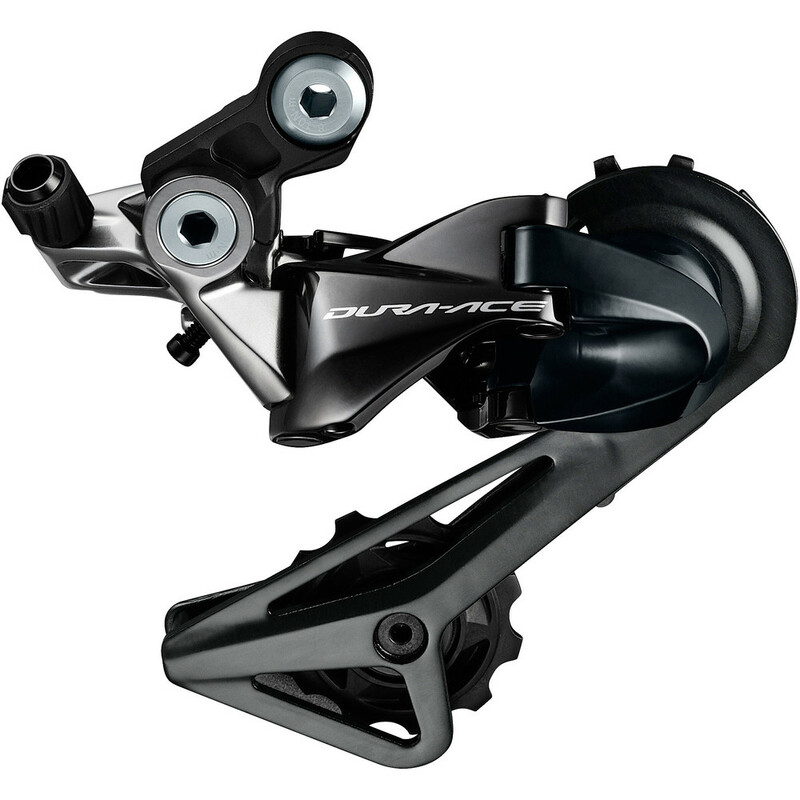 The 11-speed DURA-ACE rear derailleur has been redesigned for lighter, quicker operation with the help of low-friction polymer-coated cables. This new derailleur is also Direct Mount-equipped offering a stiffer foundation for improved shifting as well as minimising the chance of frame damage through a crash. It is a great quality. The spring feels a little strong but it shifts very smoothly. Bought to upgrade from 10 speed Dura Ace. Excellent quality, super smooth and direct shifting. Coupled it with R9001 levers, very, very happy with the upgrade. The ability to be able to run up to a 30 tooth cassette with it is excellent, it allowed me to keep my 39/52 cranks for a bit of cost saving on the upgrade but still get a great range of shifting for climbing. Very clean shifting, and handles a 32 sprocket no problem. I'm not a fan of the look, and it also looks weird when you look down at it while riding because the position of the body is further inboard to a regular rear mech. However it does what it says on the tin and gives very smooth shifting. Really great price on one of the best new rear derailleurs out there . I love that it sits back and doesn't get in the way when you drop the rear wheel, not to mention it just looks cool. The rear derailleur can also be used with a direct mount, making installation of thru axles easier. And the most important to me, who is a cyclist that like mountains but am tall and "heavy", is that derailleur 9100 enabling the use of Shimanos new 11-speed 11-30 cassette.